In Hridaya Yoga, during the practice of Hatha Yoga, the physical asanas combine with advaita, the vision based on non-duality. The asanas are performed while holding the inner spiritual attitudes recommended in traditional texts of Tantra and Shaivism including Vijnana Bhairava Tantra, Spanda Karika, Shiva Sutra, etc. They are oriented towards getting intimate inner knowledge of the physical body, of its bio-energies and of our Real Nature, the Spiritual Heart. Therefore, a contemplative attitude is necessary and indispensable. Physical asanas, pranayama techniques, etc. are integrated in an advaita perspective, the vision of non-duality. The hatha yoga practice should always bring relaxation and happiness, rather than effort or strain. Even if by itself it cannot bring the ultimate spiritual realization, hatha yoga can give us a more adequate “starting point” in the spiritual journey. For us, the role of the hatha yoga is to create conditions for relaxation and openness in order to realize the “transfiguration” and the spiritual alchemy of the body itself. With regard to the practice of the asanas, we outline the importance of: consciousness and energy, the two “poles” of a correct practice. It is not enough just to “push” the energy into one place or another, into a chakra or a nadi. Therefore, it is very important to maintain the state of Witness Consciousness, which, through the alchemy of the asana, leads to the intuition of our true nature. The physical body is a complex instrument capable of expressing our existence in the physical world. 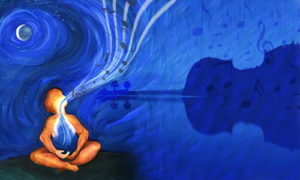 By our asana practice, we make it vibrate in various ways, the same way we would use a musical instrument. It is important, in Hridaya, to express this harmony in our daily life as well. This is how we learn to bring grace, awareness and simplicity to our gestures. Thus, Pure Presence, the Heart is expressed naturally and free of limitations of who we are. Hridaya Yoga is a natural yoga, a free expression of energies, where everything is done straight from the heart and with all our heart. The difference between natural yoga based on the free flow of energies and yoga practiced mechanically with the only goal to push energy in certain directions is similar to the difference between Heart and mind. When yoga is practiced mechanically, our starting point is based in the individual will and mind. That is why, during our courses, we do not “teach the asanas.” We learn meditative attitudes meant to develop our inner sense of freedom. These attitudes are supported and favored by the body postures, mudras, bandhas, etc. However, the awareness of the Spiritual Heart, of the ultimate underlying background of Stillness and the attitude of surrender enhance our ability to harmoniously express our personality in our daily life. Other effects are the improvement of the ability to focus and increased discernment and dynamism. Asana is a practice of samyama, a turning off of the mind’s filters to allow an intimate identification with the body, the energies, the sensations, the breath, and the higher mind. By sublimating energies (of sensations and emotions in particular) in spanda we rediscover the sacred and devotional aspects of hatha yoga. The asana has a devotional aspect as well, because it opens us up our inner guide that is exactly this tremor – vibration, spanda. It leads us to who we really are. As far as the work with energies goes, there is an intimate relation between our being and the universe. We are not only the physical body and the body does not belong to us ultimately. In Hridaya Yoga, we learn to be aware and to amplify the joy resulting from the energy exchanges refined by our centering in the Heart and by the presence of our spiritual aspiration and the Sacred Tremor of the Heart. We cannot find our ultimate happiness by moving or pushing the energy through the body, nadis or chakras. We find it though by perceiving our true nature. This deep understanding can be expressed by the physical body when we allow the energies to freely flow through it. The Spiritual Heart expresses its radiant power of love and happiness in every asana. We do not focus our attention on performing a spectacular or an artistic pose, but rather on awakening and expressing the inner happiness of the Heart, and we use our bodies to allow this happiness to radiate through it. This removes tensions, strains, and stress. When the physical body is positioned in an asana and there are no tensions or unnecessary muscle contractions, we perceive a real “blossoming” of the free flow of energies. The adequate conditions are thus set up for experiencing the Spiritual Heart’s pure vibration, spanda. There is an essential difference between a sensorial, emotional or mental stimulus and the spiritual fervor, the Sacred Tremor. But Open Attention, attention free of judgments, will ultimately sublimate our emotions. This process does not necessarily occur instantly, but if we dwell in the void, in non-reactivity, sublimation occurs. Then it is no longer an individualized energy, but the pure happiness of existence, ecstasy, ananda. The postures in Hridaya Yoga reflect a positive, life-affirming attitude. They allow us open our Hearts entirely and celebrate life. The asana becomes a process of transformation and of spiritual healing, a process of the revelation of the divine nature, not just “energizing and healthy” exercise. We start and end the yoga practice reminding ourselves that yoga is ultimately a spiritual art, and that the revelations which we may experience, cannot derive only from our personal effort alone, but primarily from the capacity of surrender or letting go of our individual limitations. While practicing asanas, we need to remember our divine nature and the reason for our yoga practice. In essence, hatha yoga creates a greater fluidity of the energies in our being. If the attitude is correct, in addition to flexibility and relaxation, we will feel more balanced and free. In general, the energy, the prana, can be increased through yoga practice. Pranayama, breath control, is another method of increasing the awareness of our energies. However, even if the vital energy is very strong, it is also essential to have the discernment to express it in an adequate manner. Therefore, in Hridaya Yoga the practice also aims at a wise usage of this energy. In this case, the amplification of the energy is accompanied by the development of the capacity of witnessing these energies, of Open Attention. It results in increased clarity and the capacity of Centering in the Spiritual Heart. This attitude favors creativity, the ability to get closer to aspects of life that inspire us. The life force contains our beauty and creativity. 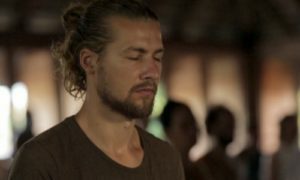 The Hatha yoga session is seen as a whole, as a unique dance, as a communion with the life itself, as an expression of a unique impetus for celebration and revelation of our divine nature, of the Spiritual Heart. In Hridaya Yoga, we consider that if pain appears during the performance of an asana then yoga disappears. The path towards removing the corporeal limits does not go through enduring pain. Any potential strain is naturally followed by a denial, a refusal. But the posture causes inherent tension, that tension must be accepted, with detachment. We do not deny it, we do not repress it, but we allow the asana to dissipate it by virtue of the harmonious energies to which a particular asana attunes us. It is important to remember not to make a goal out of the appearance of the yoga posture, but to let the body get itself into the final position while the muscles and ligaments relax. The asanas practiced in this manner catalyze healing and spiritual transformation. They are opportunities to reshape the soul and mind, to release subconscious egotistic tendencies and tensions in an unconditional way, through deconditioning and an attitude of happiness and surrender. However, there are countless asanas which require some effort which cannot be avoided. It is still important not to focus on the tensions arising during the performance of the asanas or on the difficulties of breathing associated with that effort, but to focus on the background of stillness radiating from the Heart. In this manner, we do not forget about our divine nature, about who we really are. That is why during the practice of the asanas, our attention radiates outwards, from the Spiritual Heart towards the outside world. It is in this place full of happiness that our tensions gradually dissolve and disappear. Rather, it follows our inherent tendency to expand and transcend our limits. The stillness of the Heart is still going to “tell us” how far we can go while we bend or stretch during a particular posture. Therefore, progress is not the result of personal effort, but it essentially follows our inherent tendency to go beyond our limits. This natural tendency is spontaneously generated by the intuitive knowledge of our true nature. In this fashion, the “weight” of our focus does not go to our effort, but on the Spiritual Heart and its inherent peace, openness and happiness. Relaxation and surrender are not synonymous with passivity or inertia. The practice of asanas is designed to establish a balance between effort and relaxation while we let go of personal egotistic consciousness. The asanas will be performed with joy rather than with obsession about the perfect performance or with an aggressive attitude towards our body. Our positive intention and attitude give fluidity and spiritual direction to the energy. By performing various asanas, we glorify the spirit, our divine nature. Therefore, we consider that, more important than the flexibility of the student, is his ability to attune to the essential vibration, to the Sacred Tremor of the Heart, spanda. That is why, the role of the yoga teacher is primarily to awaken love, beauty, confidence, freedom, and creativity in students, instead of focusing on their limitations and mistakes. While practicing almost any asana, we eventually feel that we reached our physical limits of flexibility, duration of performance, etc. If we let these limits stop us, if we focus mainly on these limits, we will forget the omnipotence and the infinite quality of our divine nature. An exaggerated critical attitude causes contraction and fear, and it prevents the student from opening up to the infinite. By amplifying creativity and freedom, we intend to make a true spiritual art out of the Hridaya Yoga practice. Technical rigor and the precision of our methods form just the framework through which we allow the free expression of our spiritual inspirations. When it is practiced correctly, the practice of Hridaya Yoga opens us towards life, towards the spirit and, thus, it eliminates our fears, conflicts, and repressions. Each of us has something unique and valuable to offer. Both during meditation and the asana practice, the most profound dimensions of our being are offered to Spirit, to the Spiritual Heart, to the Infinite. Hridaya Yoga avoids dry, mechanical practice. In fact, it actually endeavors to wake up students’ qualities and creativity through happiness, love and the clarity generated by Open Attention engaged as an inner attitude during the practice of asanas. The hatha yoga session, whether performed individually or in a group, is not rigidly planned. It is more of a heartfelt creative act, a heartfelt endeavor, a true celebration of life. By opening up towards the subtle phenomena and transition that may occur, the personality and the consciousness strictly related to the body gradually dissolve giving way to a transpersonal peace and inspiration. There are countless activities and attitudes through which our personality reflects itself. The way we eat, dress or talk reveals dimensions of our personality. This principle is even more obvious when it comes to the yoga practice. It is therefore important to understand and to be aware of the way in which we “reflect” ourselves in asanas or in meditation postures. Our transformation begins with the very attitude we have when we start a posture. On the other hand, if we infuse elegance, harmony, surrender, and refinement into the practice, Yoga becomes a way of generating such qualities in our whole life. In Hridaya Yoga, the physical body is seen as a divine instrument designed to be used to enable us to experience the ecstasy of recognizing and glorifying the Infinite One, of non-duality, advaita, in the domain of multiplicity, samsara. The physical body is a majestic manifestation of the spirit, not just a mass of dense matter. And in a similar manner, our thoughts, desires, passions and emotions are not obstacles in the way of spiritual awakening, to be repressed or eliminated. Rather, they are tools for expanding the individual consciousness and, even, for transcending it. Our physical body and subtle energies represent divine gifts meant to help us discover the most profound sense of our freedom. As students of Hridaya Yoga, we aspire with all our soul to develop and refine, in the most profound sense, all aspects of our being: body, mind, intuition, mental clarity, purity of emotions, and all our most profound virtues. Maintaining the awareness of the Spiritual Heart both during meditations and the practice of asanas fills us with pure energy, the energy of “BE-ing” which manifests itself in our physical body. In this manner, there is a condensation of the ongoing spiritual transformations in the physical body. Also, during meditation, when an expansion of consciousness occurs, the body is flooded with happiness and, deep down in its cells, it “memorizes” that beatific reality. The true memory, the “ancestral” memory resides in the whole being, not only in the brain. The physical body is a sort of “stabilizer” of our emotions and thoughts. For example, even after a profound meditation, the mind can easily resume, in only a few minutes, its normal agitation and dynamism. This state of facts can be discouraging. So, we find ourselves wondering what to do. Our body is more stable than our thoughts. Our body is able to hold onto the echoes of the stillness and happiness experienced during meditation for a longer time. Therefore, body consciousness is very important. Also, when we become aware of the body, we become aware of its rhythms of life. And these rhythms are actually the rhythms of the living universe which cradles it. These rhythms are our life’s guidelines. Hatha yoga creates a type of openness to the Spiritual Reality in the physical body as well. This spiritual openness can be felt in the physical body and can bring us countless revelations. That is why in Hridaya Yoga we are not focused on changing our physical body. However, the transformations of the physical body do occur as effects of becoming free of attachments, of “complicity” with the physical body. To experience this state of transfiguration of the body we have to let go of the idea of a strictly material, solid, heavy body subject to inertia and we also have to be in state of profound relaxation of our body. The transfiguration of the body during the practice of asanas, allows the body to be pure, light and bright. This is not a new idea. There are several simple methods which allow us to experience the dissolution of the boundaries of body consciousness (the feeling that our body has lost the physical boundaries imposed by its shape and substance). In ancient texts, such as Vijnana Bhairava Tantra, we find various ‘sutras’ which mention that the physical body can be experienced as vacuity or as infinite space. The same attitudes (of experiencing the dissolution of the physical boundaries) are recommended during our hatha yoga sessions. Thus, we can detach even from the memory of the shape of our physical body. We reach this understanding through an adequate mental attitude and a deep relaxation. And we become aware during meditation or hatha yoga sessions that the materiality and opacity of our body are nothing but the consequences of our strains, stresses and attachments. Usually, when tensions, worries and stresses become chronic, they will manifest as illnesses of the physical body. Countless emotional tensions, conflicts and mental doubts somatize in our physical body. The intimacy with our own body is limited by our mental conflicts. Therefore, it is a matter of a mental, not physical, attitude. Strong intuition is not needed to read suffering or fear on someone’s face. Inner tensions can generate many problems and diseases, from migraines to gastritis or even ulcer. But even if they have not yet expressed themselves in a chronic way in the physical body, psychological pressures and the constant worries of everyday life have unfortunate consequences on our physical body and on our energetic structures. The easiest way to eliminate tensions is to sleep. The exceptional virtues of the sleep derive mainly from the detachment from the physical body. But sleep is only a temporary oblivion, an escape into unconsciousness. However, it teaches us some fundamental things – how to detach from the physical body and to become free of our total identification – which are of great importance for the revelation of the freedom and happiness or our divine nature. As a general principle, a structure (the physical, mental or psychic body) can be in harmony with the Wholeness or Totality to the extent to which it is set free from identification with a reactive, selfish personal consciousness. The understanding of this principle changes our “representation” regarding what hatha yoga is and it can radically improve our practice. We consider that the tendency found in some ascetic traditions to negate the physical body has profound limitations, even if there are reasons underlying this tendency. We do not make a goal out of eliminating the body, but rather of eliminating the restrictive identification with it. In this manner, instead of somatizing the tensions in the physical body, we will somatize the spirit, the light which we bring all the way into the physical body. Thus, while practicing any asana, we get to feel the vibration of love, of happiness, of freedom. In this manner, we “incorporate” divine qualities. The practice of various specific yoga postures generates a refined capacity of the expression of the human spirit. Nirmana kaya describes the physical body of a liberated being. The followers of Buddhism strive, through various techniques, to reach the stage of a perfectly purified and alchemized physical body. If it may be easier to imagine the perfectly pure subtle bodies of an enlightened being, we still might wonder what the pure physical body looks like. Simply, this is a physical body with no trace of physical or mental tension, a physical body free of traumas, fears, prejudices, suffering and inner strain. From this point of view, nirmana kaya (also called the original body) is like the physical body at the moment when we wake up or at the moment we were born in the physical world (the body of a newborn child). It comes with a sense of truth, of transparency, of clarity because it does not reject anything, it includes and embraces everything, like white light which contains the whole spectrum of the rainbow. Another concept that inspires our practice in Hridaya Yoga is Sama-rasa meaning “balancing” or “even essence.” This was a very important notion in the tradition of Siddha Yoga (between the 8th and 12th centuries A.D., this tradition was based on the life and teachings of certain perfect beings, the mahasiddha; the aspirations in this tradition included perfection of the physical body and, even, physical immortality). In fact, the very endeavor to “cultivate the latent potential of the physical body” caused hatha yoga to appear. Therefore, hatha yoga was originally created to reveal and express our divine nature. Sama-rasa expresses the process of opening towards the divine energies, at the level of the physical body as well. Sama-rasa is the condition of the human being where the physical body expresses, at its level, divine perfection. For this reason, in Hridaya Yoga, hatha yoga is the harmony between the human plane and the Divine. In Hridaya Yoga, the practice of hatha yoga is designed to attain this spiritual transparency at all levels of being, including the physical one. The physical body is usually traumatized by our reactions, by the aggressiveness of our psyche. Now, through acceptance and openness, it expresses itself naturally. Thus, the physical body becomes a “glorious body” when, due to the achieved energetic fluidity, we succeed to perceive not our body as, ordinarily, a solid and resistant mass, but instead as a subtle radiating energy. So, the body is no longer just a tool for attaining happiness and freedom, it also becomes freedom and happiness in itself. Stillness announces the awareness of the everlasting present moment, of the Now set free from the distractions of the process of becoming. As the feeling of immobility gets more profound due to deep relaxation, the attachment to the physical body grows weaker and weaker, while the awareness of peace and of stillness becomes more obvious. The attention moves from the body or energies to this stillness and silence. This transpersonal stillness beyond the mind, is the real source of our power. Our being loses its boundaries through the awareness of Stillness. Therefore, the hatha yoga session should be seen as a whole, maintaining the state of Open Attention, of the Present Moment, of the Now. Thus, starting and finishing an asana will no longer mark moments of interrupted awareness. Read more … What is Hridaya, the Spiritual Heart?